Cordova Introduces the Ultimate "Grab-and-Go" Cooler. 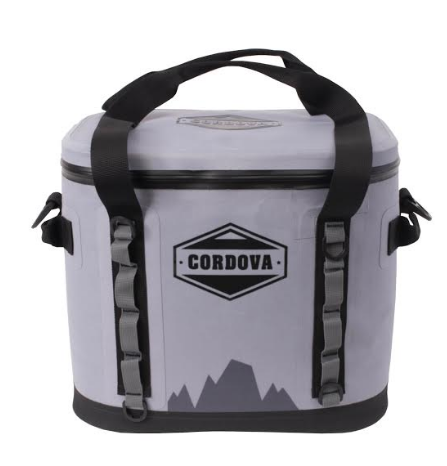 Cordova Cooler, building on their industry-leading and feature-rich hard-side cooler line, introduces a soft-side cooler that meets the portability needs of on-the-go outdoor enthusiasts and of those looking for a lightweight food and beverage storage solution when working long hours in the outdoors. 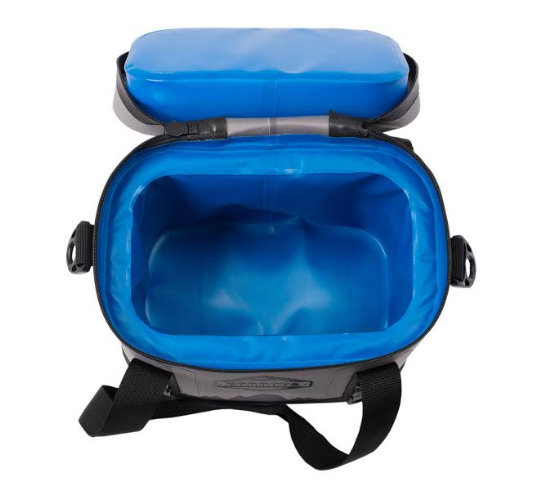 The Cordova Soft-Side Cooler weighs in at a mere two pounds yet is sized to carry up to 16 12-oz. cans plus 10-lbs of ice—perfect for a full day on the boat, at the cabin, or working in the field. With an inside dimension of 14.5W x 10.5H x 7.75D inches, the Soft-Side Cooler can hold enough cold food and beverages to see you through a long, hot day. Built with a tough and durable 1000 Denier nylon shell, the Soft-Side Cooler includes a rugged waterproof zipper and waterproof liner, so there's no need to worry about seepage or leaks in the event of a tipover. Both sides feature tie-down straps and loops so the cooler can travel secured to a boat, vehicle or UTV cargo bed. Carrying is made easy with robust nylon carry handle straps. These straps also feature integrated daisy chain loops, allowing the cooler to be secured to a compatible daypack for short hauls, or to clip essentials such as keys, lights, or other items with a carabiner. Available in gray with black accent, the Cordova Soft-Side Cooler is covered by a three-year warranty. Soft-side coolers offer the ideal balance in lightweight portability and cold storage, and with the same quality manufacturing standards and field-tested designs as seen in their adventure-ready chest coolers, the new Cordova Soft-Side Cooler brings a new level of performance to the "grab-and-go" cooler category. To learn more, about Cordova Coolers' rotomolded chest coolers, jugs, and new soft-side coolers, visit http://www.cordovacoolers.com.